Lent – a season where it’s common practice for Catholics to ask each other ‘What are you giving up for Lent?’ Okay. So I’m half-serious. But that’s the kind of idea of we had of Lent growing up. A time of ‘giving up’. While I understand the value of fasting and moderation, I’ve never fully agreed with the need to ‘give up something’ for Lent. A few years back, the Catholic Church in India suggested that rather than abstaining from meat and fasting, people should abstain from other things. For example, abstain from watching television and instead spend more time with family. 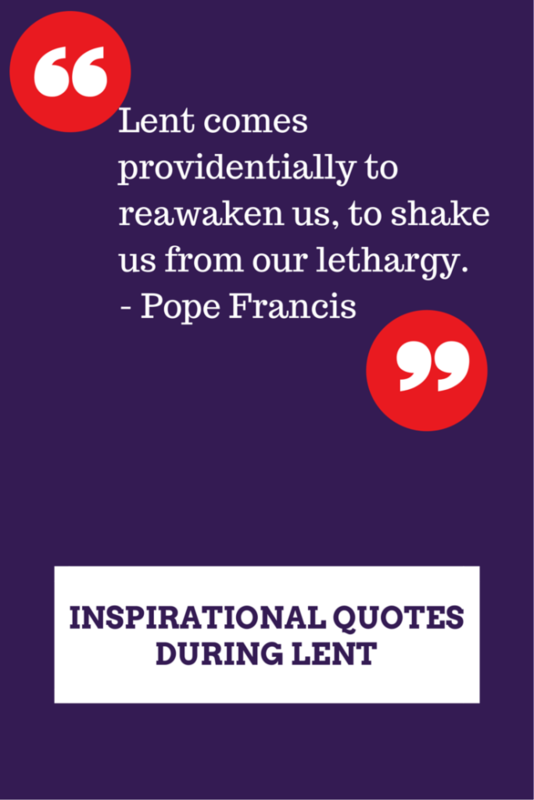 Pope Francis, who is already a kind of hero for me, by his outspokeness and ability to talk hard and bring up issues within the Church, has very strong views on what Lent should really be. In his Lenten message to the Church he urges that instead of abstaining from food or drink, we should fast from indifference. A very strong message and one that can apply all year around and to every one of us. Do you believe in Lent? What practices do you follow? Does your religion talk of the value of fasting? What do you think about fasting from indifference? Share your views. I’d love to hear them. I like ‘we all have the duty to do good’ because it is universal and applies to all of us. You’ve put together a great collection of quotes Corinne! I’m a Methodist and we also observe Lent, but this year I didn’t give up anything. Instead I am trying to “put on mercy” for those who may disappoint themselves and me. I think the Pope is on to something with his focus. I have seen a few of our Catholic friends abstaining from non veg and liquor during Lent. But what the Pope has said is so simple and profound and makes so much sense! While I’m not Catholic, several of my friends were when I was in high school. I well remember listening to them talk about what they had to give up for Lent! I so agree with the Pope – indifference is far more important than whether one had meat on Friday or not! Those quotes are very inspiring no matter what religion one is! We do believe in fasting because it is an excellent way to put the “body” under and helps one become more attuned to God. You are so focused on yourself when you begin but by the end, it is amazing how attuned to Him you can become. I’m going to save this particular post! Corinne, I love the quote by Jacob Winters! This is a beautiful post and I’m so honored to have been a part of it. Thank you so much for the shout out!! I’m truly blessed to call you friend! Yes, I liked that one too, Robyn, although I must confess I’m liking Pope Francis’ words way better! Yes my friend, blessings do work both ways!